After MacIntyre contains original essays by leading moral and political philosophers who assess both the merits and limitations of Alasdair MacIntyre's work. 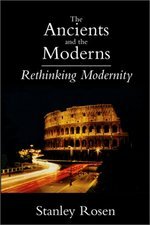 Among the themes explored here are MacIntyre's historical arguments about the sources of the failure of modernity; the validity and relevance of his attempt to reinstate the ideas of Aristotle and Aquinas as central to any satisfactory moral understanding; the effectiveness of his critique of modern liberalism; and the adequacy of key concepts, such as tradition and practice, in his analyses and arguments. In addition, MacIntyre responds in a substantial essay to the issues raised by the other contributors. Considering Levinas's critique of French liberalism and Nazi racial politics, and the links between them, Maldonado-Torres identifies a "master morality" of dominion and control at the heart of western modernity. This master morality constitutes the center of a warring paradigm that inspires and legitimizes racial policies, imperial projects, and wars of invasion. Maldonado-Torres refines the description of modernity's war paradigm and the Levinasian critique through Fanon's phenomenology of the colonized and racial self and the politics of decolonization, which he reinterprets in light of the Levinasian conception of ethics. Drawing on Dussel's genealogy of the modern imperial and warring self, Maldonado-Torres theorizes race as the naturalization of war's death ethic. He offers decolonial ethics and politics as an antidote to modernity's master morality and the paradigm of war. 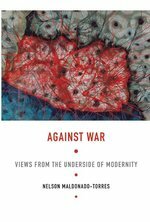 Against War advances the de-colonial turn, showing how theory and ethics cannot be conceived without politics, and how they all need to be oriented by the imperative of decolonization in the modern/colonial and postmodern world. Is there a good God? And if there is, has that God revealed anything of significance to us? Philosophers pondering these two questions have automatically assumed that the first must be answered before the second. Sandra Menssen and Thomas Sullivan examine how God's voice can be heard in the content of revelatory claims, stories, myths, poetry, exhortations, legal codes, and more. They argue that rather than taking the written word of any religion out of the philosophical proof equation, those very words should be considered as the voice of the God accused of not existing. The Agnostic Inquirer makes a clear, analytical claim that without these revelatory words, atheists and agnostics are missing a large part of the relevant database of the existence of God, while many theists are working with an impoverished database in trying to explain the foundations of their faith. In this text, philosopher Stanley Rosen takes a new look at the "quarrel" that moderns have with the ancients, analyzing and comparing ancient philosophers and modern Continental and analytical thinkers from Plato, Descartes and Kant to Fichte, Nietzche and Rorty. Madness, sexuality, power, knowledge--are these facts of life or simply parts of speech? In a series of works of astonishing brilliance, historian Michel Foucault excavated the hidden assumptions that govern the way we live and the way we think. The Archaeology of Knowledge begins at the level of "things aid" and moves quickly to illuminate the connections between knowledge, language, and action in a style at once profound and personal. A summing up of Foucault's own methodological assumptions, this book is also a first step toward a genealogy of the way we live now. Challenging, at times infuriating, it is an absolutely indispensable guide to one of the most innovative thinkers of our time. 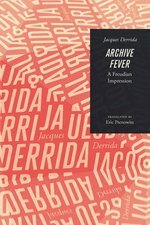 In Archive Fever, Jacques Derrida deftly guides us through an extended meditation on remembrance, religion, time, and technology--fruitfully occasioned by a deconstructive analysis of the notion of archiving. 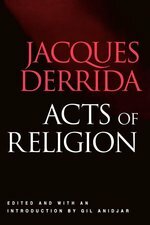 Intrigued by the evocative relationship between technologies of inscription and psychic processes, Derrida offers for the first time a major statement on the pervasive impact of electronic media, particularly e-mail, which threaten to transform the entire public and private space of humanity. 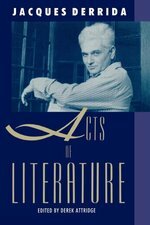 Plying this rich material with characteristic virtuosity, Derrida constructs a synergistic reading of archives and archiving, both provocative and compelling. In this refreshingly vivid new translation by A S G Thurston, Aristotle can be seen to be summarising the main principles of aesthetic appreciation in ancient Greece which established the fundamental theory and practice in western art for the following 2,400 years.No one has ever made such a systematic study and full-scale investigation encompassing the entire range of human knowledge as he did. So the Poetics is consequently the first and most important study of this kind in the history of western civilisation. All concepts on aesthetics, which we know today, are rooted in this book. Today however, Aristotle must be understood on several levels in a complex fashion, as Thurston believes he originally intended it to be. 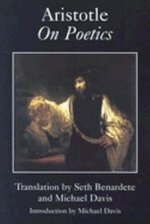 So with the use of today's English words and phrases Thurston presents the Poetics in an accessible way for students of theatre, and for anyone interested in reading Aristotle. In this collection of essays, Ralph McInerny portrays Jacques Maritain as a devoted Thomist, convinced that faith could never be divorced from reason and that reason without faith was meaningless. In addition, McInerny discusses Maritain's deployment of Thomistic doctrines into surprising new applications and pays tribute to the man as the best Thomistic writer on art in this century. For more than two thousand years, Sun-tzu's The Art of War has provided leaders with essential advice on battlefield tactics and management strategies. An elemental part of Chinese culture, it has also become a touchstone for the Western struggle for survival and success, whether in battle, in business, or in relationships. Now, in this crisp, accessible translation, eminent scholar John Minford brings this seminal work to life for today's readers. Capturing the literary quality of the work, Minford presents the core text in two formats: first, the unadorned ancient words of wisdom ascribed to Sun-tzu; then, the same text with extensive running commentary from the canon of traditional Chinese commentators. A lively, learned introduction and other valuable apparatus round out this authoritative volume. One of the most brilliant political theorists of the century, Hannah Arendt intended her work to liberate and empower, to restore our capacity for concerted political action, to convince us that improving our flawed arrangements is up to us. At the same time, Arendt developed a metaphor of "the social" as an alien, all-consuming monster appearing as if from outer space to gobble up human freedom; she blamed it--not us--for our public paralysis and depoliticization. How can we understand her vision of the social that seems to conflict with her most important teaching? "The Attack of the Blob" is an imaginative and wonderfully written study in which Hanna Pitkin seeks to resolve this paradox by tracing Arendt's notion of "the social" from her earliest writings to "The Human Condition" and beyond. Interpreting each work in its historical and personal context, Pitkin develops an answer that considers language and rhetoric, psychology and gender, authority, and even the nature of political theory itself. Her book is an intellectual genealogy, reading at times like a detective novel, that traces the provenance and vicissitudes of Arendt's shifting concept. Along the way, Pitkin repeatedly challenges established interpretations of Arendt's project, including the role in it of her teacher and lover Martin Heidegger and her supposed neglect of economic concerns. "The Attack of the Blob" raises disturbing and compelling questions about what freedom can mean today. Criticizing Arendt's flawed concept but insisting on the urgent reality of the problem that concept was intended to address, Pitkin honors Arendt's achievements by continuing her enterprise. 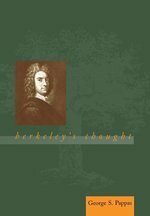 In this highly original account of Bishop George Berkeley's epistemological and metaphysical theories, George S. Pappas seeks to determine precisely what doctrines the philosopher held and what arguments he put forward to support them. Specifically, Pappas overturns accepted opinions about Berkeley's famous attack on the Lockean doctrine of abstract ideas. Berkeley's criticism of these ideas had been thought relevant only to his views on language and to his nominalism; Pappas persuasively argues that Berkeley's ideas about abstraction are crucial to nearly all of the fundamental principles that he defends.Pappas demonstrates how an adequate appreciation of Berkeley's views on abstraction can lead to an improved understanding of his important principle of esse is percipi, and of the arguments Berkeley proposes in support of this principle. Pappas also takes up Berkeley's widely rejected claim to be a philosopher of common sense. He assesses the validity of this self-description and considers why Berkeley might have chosen to align himself with a commonsense position. Pappas shows how three core concepts--abstraction, perception, and common sense--are central to and interdependent in the work of one of the major figures of early modern Western thought. Hans Georg-Gadamer is best known in the English-speaking world for his major work on philosophical hermeneutics, Truth and Method; he has also written extensively on the subject of Plato. Most commentators on Gadamer's work therefore view Gadamer either as a historian of philosophy or as a philosopher in his own right, critically engaged in the philosophical issues of our time. In Beyond Being, Brice R. Wachterhauser contends that this perceived bifurcation in Gadamer's work oversimplifies and distorts important parts of Gadamer's thought. Wachterhauser argues that only by viewing Gadamer's contribution to philosophy as an integrated whole and by reading Gadamer's hermeneutical studies in light of his Plato studies are we able to avoid certain key misunderstandings of Gadamer, as well as to comprehend more clearly the radical implications of Gadamer's thought. Represents Nietzsche's attempt to sum up his philosophy. In nine parts the book is designed to give the reader a comprehensive idea of Nietzsche's thought and style: they span "The Prejudices of Philsophers," "The Free Spirit," religion, morals, scholarship, "Our Virtues," "Peoples and Fatherlands," and "What Is Noble," as well as epigrams and a concluding poem. Beyond Good and Evil is one of the most remarkable and influential books of the nineteenth century. In Biodeconstruction, Francesco Vitale demonstrates the key role that the question of life plays in Jacques Derrida's work. In the seminar La vie la mort (1975), Derrida engages closely with the life sciences, especially biology and evolution theory. Connecting this line of thought to his analysis of cybernetics in Of Grammatology, Vitale shows how Derrida develops a notion of biological life as itself a sort of text that is necessarily open onto further articulations and grafts. This sets the stage for the deconstruction of the traditional opposition between life and death, conceiving of death as an internal condition of the constitution of the living rather than being the opposite of life. It also provides the basis for the deconstruction of the rigidly deterministic concept of the genetic program, an insight that anticipates recent achievements of biological research in epigenetics and sexual reproduction. Finally, Vitale argues that this framework can enrich our understanding of Derrida's late work devoted to political issues, connecting his use of the autoimmunitarian lexicon to the theory of cellular suicide in biology. In The Birth of the Clinic the philosopher and intellectual historian who may be the true heir to Nietzsche charts this dramatic transformation of medical knowledge. As in his classic Madness and Civilization, Michel Foucault shows how much what we think of as pure science owes to social and cultural attitude--in this case, to the climate of the French Revolution. Brilliant, provocative, and omnivorously learned, his book sheds new light on the origins of our current notions of health and sickness, life and death. Modern theory needs a history lesson. Neither Marx nor Nietzsche first gave us theory-Hegel did. 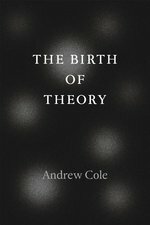 To support this contention, Andrew Cole's The Birth of Theory presents a refreshingly clear and lively account of the origins and legacy of Hegel's dialectic as theory. Cole explains how Hegel boldly broke from modern philosophy when he adopted medieval dialectical habits of thought to fashion his own dialectic. While his contemporaries rejected premodern dialectic as outdated dogma, Hegel embraced both its emphasis on language as thought and its fascination with the categories of identity and difference, creating what we now recognize as theory, distinct from systematic philosophy. Not content merely to change philosophy, Hegel also used this dialectic to expose the persistent archaism of modern life itself, Cole shows, establishing a method of social analysis that has influenced everyone from Marx and the nineteenth-century Hegelians, to Nietzsche and Bakhtin, all the way to Deleuze and Jameson. By uncovering these theoretical filiations across time, The Birth of Theory will not only change the way we read Hegel, but also the way we think about the histories of theory. With chapters that powerfully reanimate the overly familiar topics of ideology, commodity fetishism, and political economy, along with a groundbreaking reinterpretation of Hegel's famous master/slave dialectic, The Birth of Theory places the disciplines of philosophy, literature, and history in conversation with one another in an unprecedented way. Daring to reconcile the sworn enemies of Hegelianism and Deleuzianism, this timely book will revitalize dialectics for the twenty-first century. 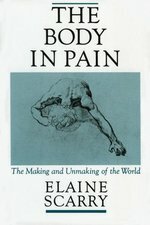 Part philosophical meditation, part cultural critique, The Body in Pain is a profoundly original study that has already stirred excitement in a wide range of intellectual circles. The book is an analysis of physical suffering and its relation to the numerous vocabularies and cultural forces--literary, political, philosophical, medical, religious--that confront it. Elaine Scarry bases her study on a wide range of sources: literature and art, medical case histories, documents on torture compiled by Amnesty International, legal transcripts of personal injury trials, and military and strategic writings by such figures as Clausewitz, Churchill, Liddell Hart, and Kissinger, She weaves these into her discussion with an eloquence, humanity, and insight that recall the writings of Hannah Arendt and Jean-Paul Sartre. Scarry begins with the fact of pain's inexpressibility. Not only is physical pain enormously difficult to describe in words--confronted with it, Virginia Woolf once noted, "language runs dry"--it also actively destroys language, reducing sufferers in the most extreme instances to an inarticulate state of cries and moans. Scarry analyzes the political ramifications of deliberately inflicted pain, specifically in the cases of torture and warfare, and shows how to be fictive. From these actions of "unmaking" Scarry turns finally to the actions of "making"--the examples of artistic and cultural creation that work against pain and the debased uses that are made of it. Challenging and inventive, The Body in Pain is landmark work that promises to spark widespread debate.